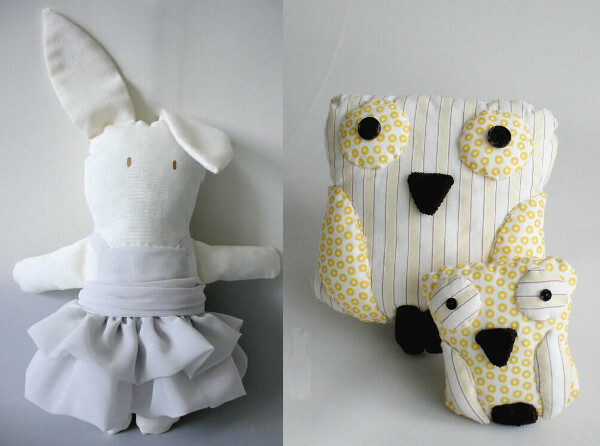 Handmade toys are back in a big way. Sometimes a bit wonky looking, with crooked smiles and floppy edges, but this is what gives each one its unique charm. A home for toys just like these ones is at Hipolita, an Istanbul-based Etsy shop full of whimsical handmade toys and gorgeous little dresses and cardigans. 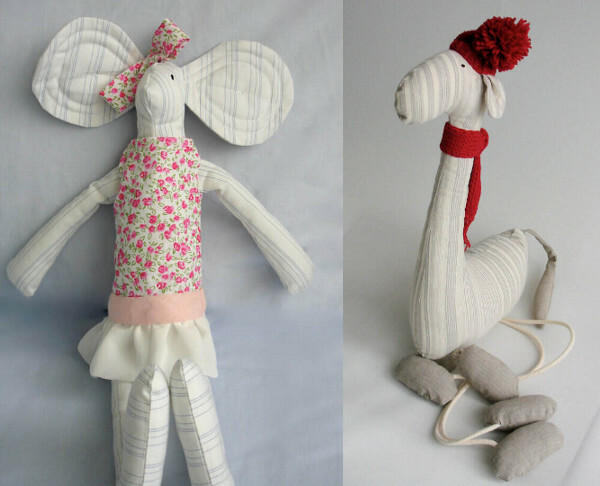 The shop is a virtual menagerie – we love the mother and baby owls and the lovely ballerina bunny, and I’m quite taken as well with the beanie-wearing giraffe with his long stringy legs! Gorgeous mice and rabbits are dressed in charming little dresses and everything is soft and supremely huggable. Prices are varied, but begin as low as $12, and you can check out everything that’s on offer at Hipolita. Check out our past posts on knitted toys for even more handmade delights.